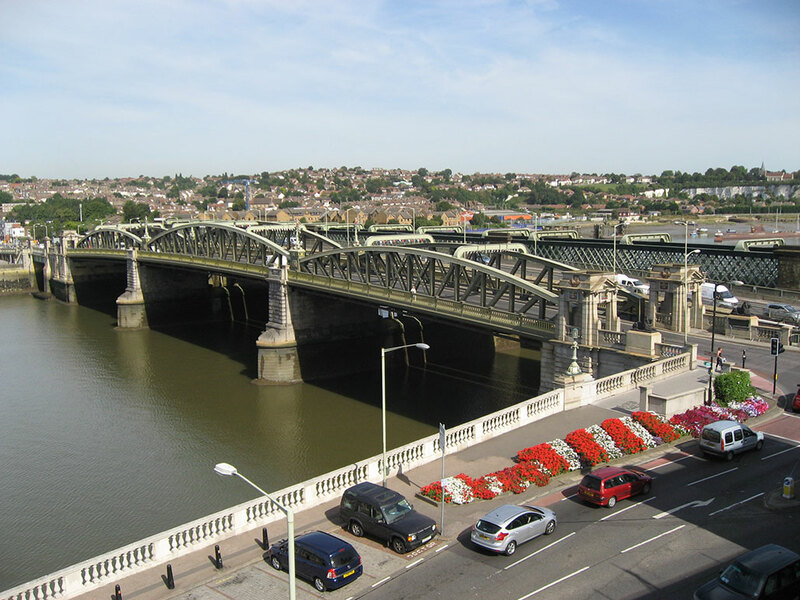 One of the most popular views of the Old Bridge is from the Rochester Esplanade, overlooking the Georgian balustrade. It’s the place where the majority of photos of the bridges are taken, including selfies with the lions, and where people like to stop and pause. Only people don’t tend to stop and pause for very long because there isn’t really much opportunity for them to do so. Which is a shame because a surprising amount of history can be seen from this area, and so we have been giving a lot of thought to how we can share this with visitors and encourage them to pause a little longer. The details are yet to be finalised, but our proposals to improve the streetscape of Rochester Esplanade aim to complement the rich heritage it is a part of. The surfacing of the area is due to be refreshed and so we have opted for Yorkstone paving for the footways and granite sets for the parking area. The new streetscape will have a larger area to admire the Old Bridge from, as well as a change of green features. When designing highways, an important consideration is to make sure sight lines are provided, making it easier for people at junctions to view the space they plan to travel into. The new streetscape has been specifically designed to improve the current sight lines, which should result in a safer experience for all highway users.